Do you want to play two of Ireland’s top 25 courses? Do you want to play golf on land described by the country’s leading course designer Christy O’Connor Jnr as the best he has worked with? 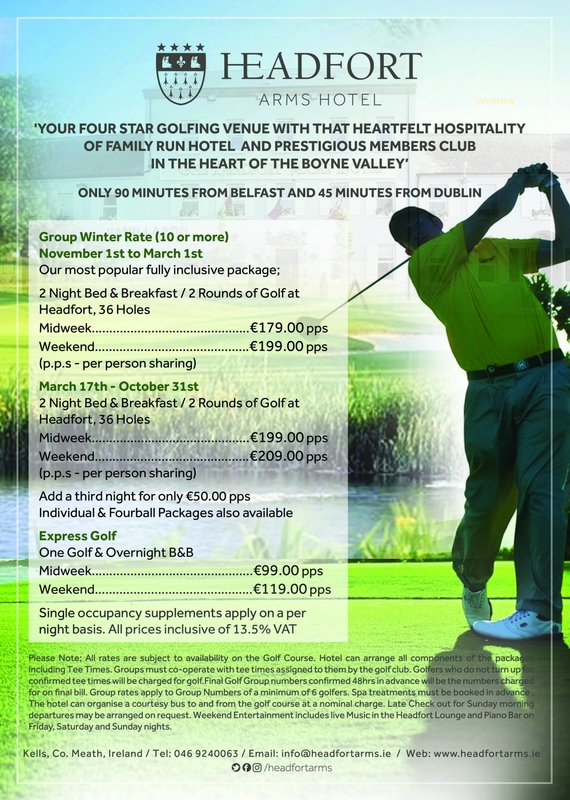 We are delighted to work closely in conjunction with the wonderful Headfort Golfing Complex which is only 2 minutes from our door; providing wonderful value packages, it’s no wonder that 3 out of 4 golfers are booking on check out for their return visit!